“Is that a good color?” asks Adam Green, regarding the phlegm he’s just coughed into a cup. In the dressing room of the Newcastle Academy, Green puts his affliction down to either a cold or too much drinking. Green is here in the UK to promote his latest album, Minor Love, which, thankfully, is unaffected by the malady plaguing him tonight. The album showcases realized musicianship and emphasizes Green’s vocal ability more than his previous albums do. Despite his incredulity here, the prospect of identifying his music with a label is a notion to which Green is not entirely averse. He seems to resonate with the “anti-folk” movement, saying of the classification, “Absolutely, yeah, I would endorse it. I don’t exactly know what it is; no one really knows what it is, but I like those people that are involved.” For Green, Minor Love has been shaped by his striving for a specific sound, but relaxing when trying to achieve it. He elaborates on this by recalling the influence of his trip to Nashville prior to recording his last album, Sixes And Sevens. Besides music, the future also holds other projects for Green. “I’d like to write more,” he explains. “Right now, I’m guest-editing. There’s a magazine called Magnet… I’m writing thirteen articles for them, on government, jazz versus punk, infamy, New York City, anti-folk.” A set of webisodes also accompanies Minor Love, some of which feature Green’s penchant for painting. 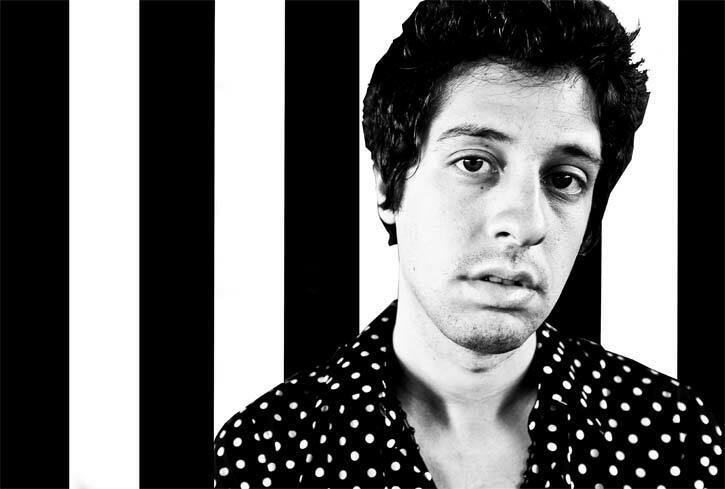 Assuming Adam Green survives the infection subduing him tonight, it seems that, thankfully, that will be a possibility for the future, and there will be much more to come from him.